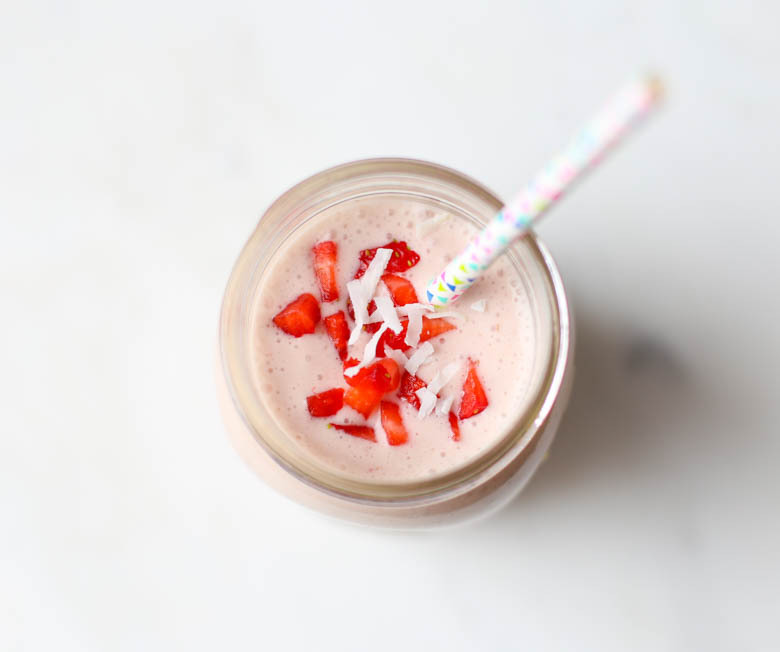 Frozen strawberries, pineapple, and banana combine with coconut milk and almonds to create the most luxurious, healthy smoothie you’ve ever had! 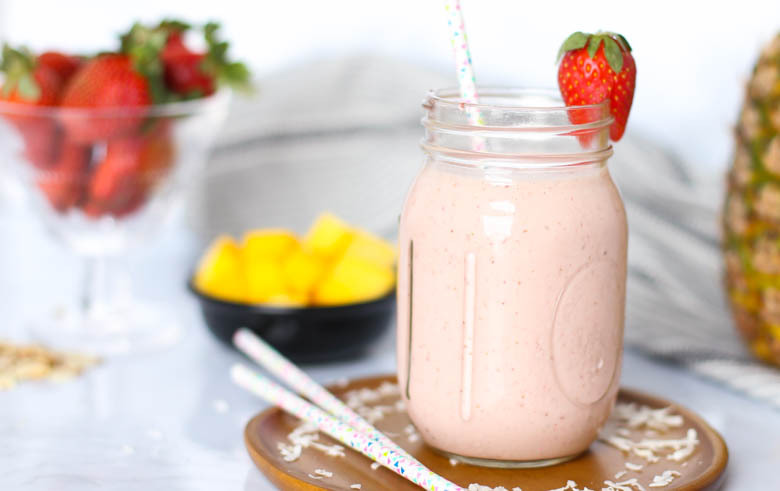 This easy Strawberry Piña Colada fruit smoothie has party time written all over it. Can it really be classified as a smoothie? 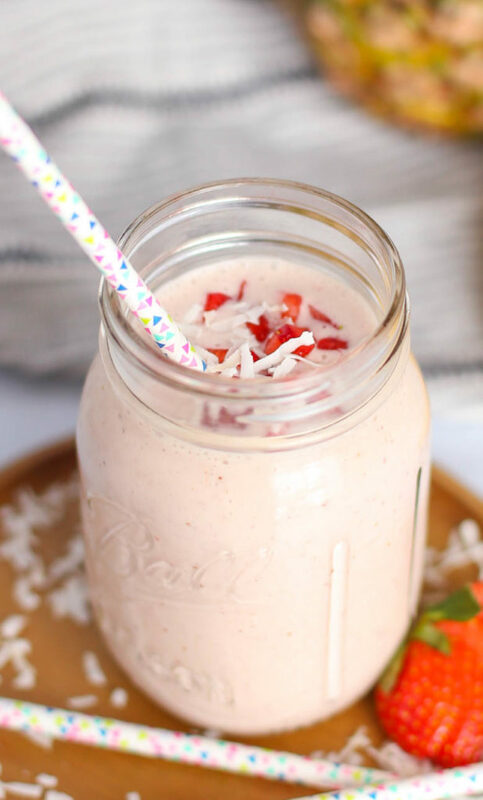 This fruit smoothie tastes like the best Strawberry Piña Colada milkshake you’ve ever had–if that exists. Besides the Blueberry Muffin Smoothie, this was the most popular one with my kids. Heck, you may even want to spike it with a little rum at your next party or brunch (adults only, course!). Virgin or spiked, it’s DELICIOUS and such a treat!!! I recommend using full-fat coconut milk from the can, if you want the best milkshake experience. But, coconut water or your favorite milk will work as a substitute. Just can’t promise it will blow. you. away. like that full-fat coconut milk will. The good news: the fat in coconut has some positive health benefits for you, too. 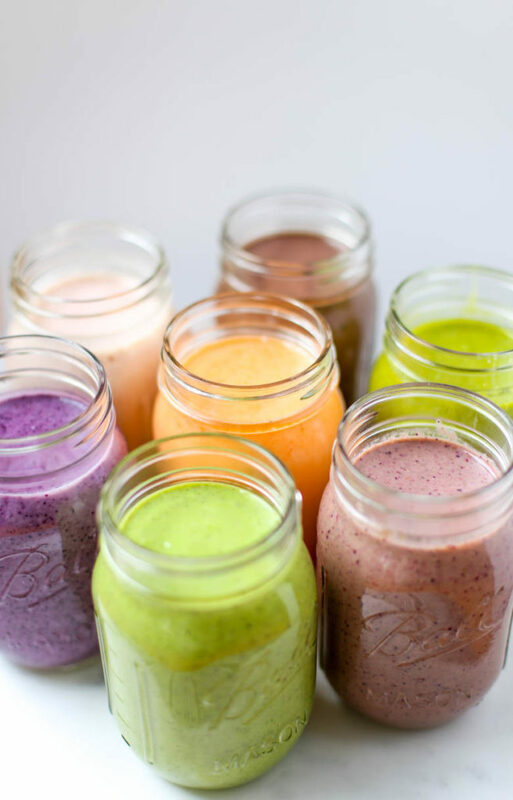 In case you haven’t heard, we are sharing 7 easy, healthy smoothie recipes that you can make ahead and freeze as freezer smoothie packs this month on the blog. 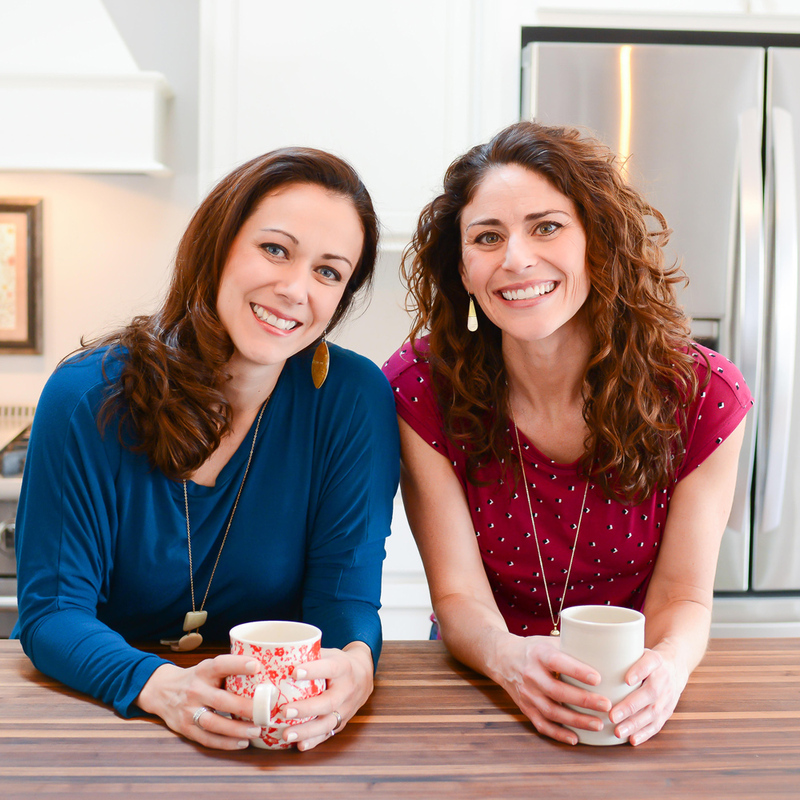 You may want to try (or Pin for later) the others smoothies we’ve shared. 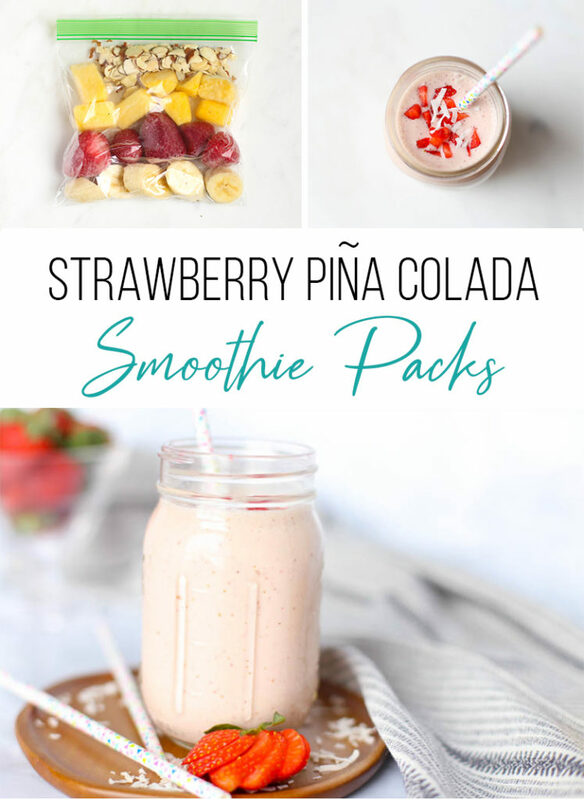 Bonus: In all of our smoothie recipes, we teach you how to prep these ahead of time into freezer smoothie packs to have on hand for an easy breakfast or snack anytime! 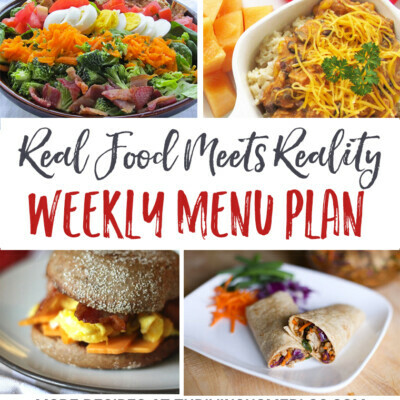 Healthy eating has never been so easy. Freezer smoothie packs have become the norm around our houses these days. 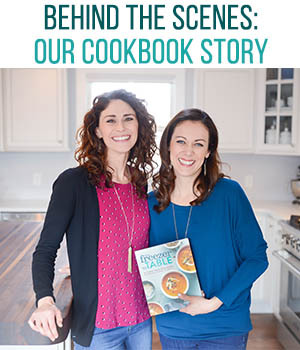 That’s because, just like with our healthy freezer meal recipes, it makes so much sense to use our time and resources wisely by prepping these smoothies in bulk. If you’re concerned about reducing the use of plastic bags like we are, we can recommend these high-quality silicone storage bags. 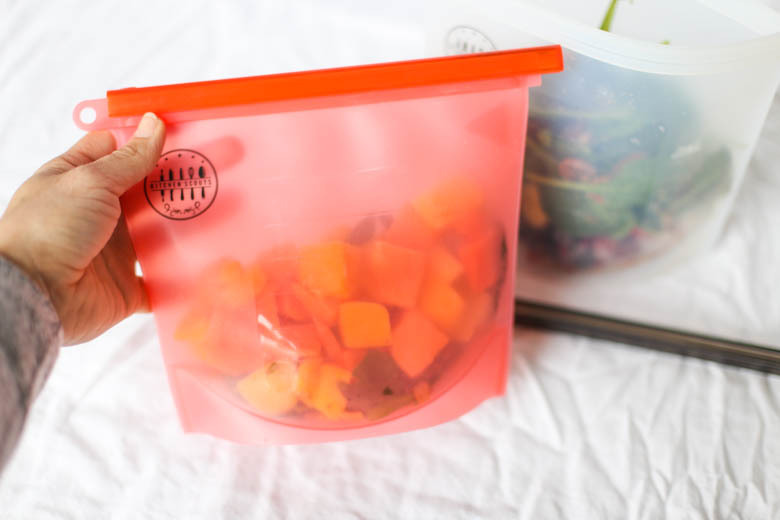 They are the perfect size for smoothie packs but also work well for any food storage. 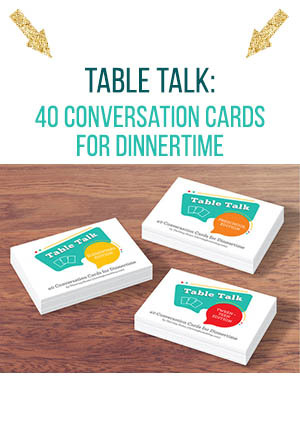 We’ve found that they are easy to clean (even dishwasher safe! ), easy to use, and leak-proof. Silicone is one of the safest materials to store and even bake our food in, as it does not leach any chemicals into the food. 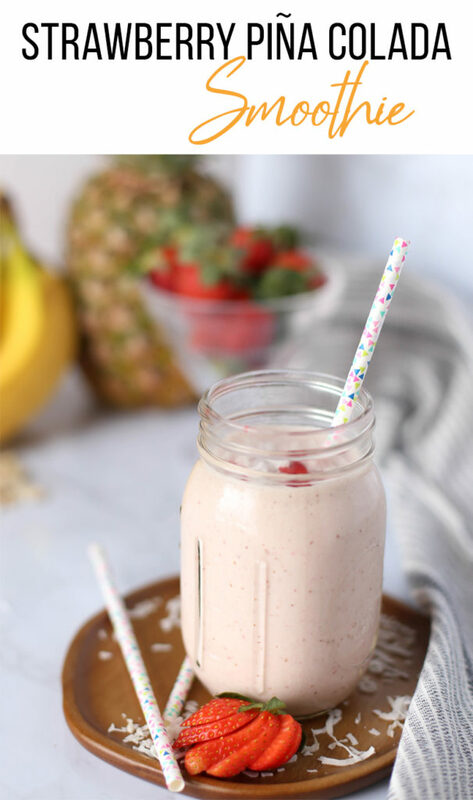 Frozen strawberries, pineapple, and banana combine with coconut milk and almonds to create the most luxurious, healthy smoothie you’ve ever had! 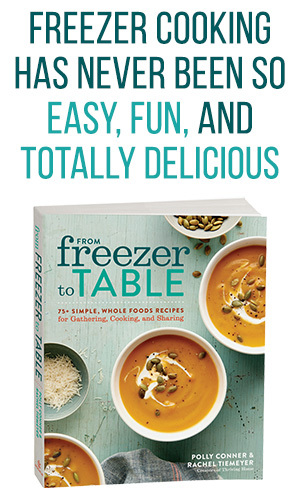 Prep ahead and make it into freezer smoothie packs to have on hand any time. 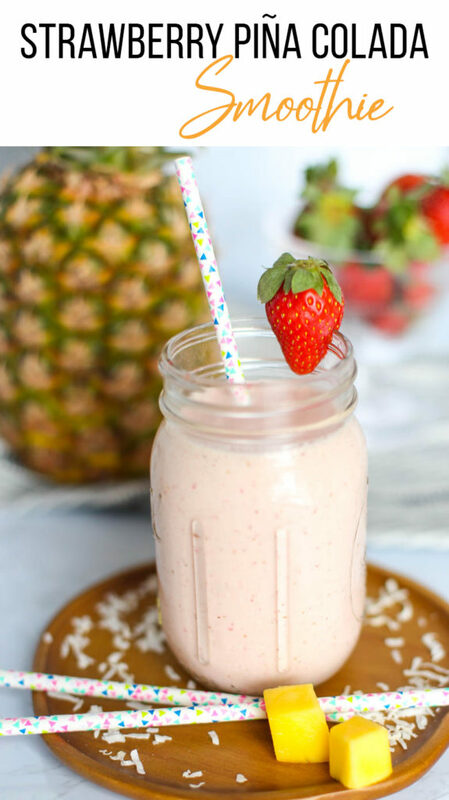 This easy Strawberry Piña Colada fruit smoothie has party time written all over it. 1. 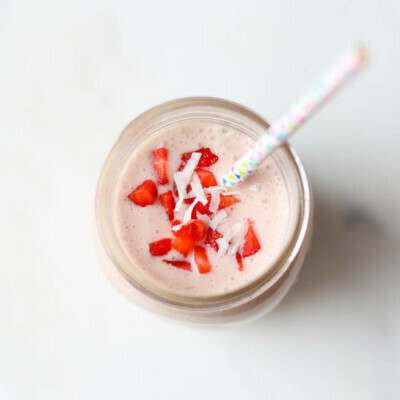 Start by adding 1 cup unsweetened coconut milk (see notes above in ingredient list) to a high-powered blender. Then, add all the other ingredients. 2. Blend until smooth. You may need to stop and stir/shake the blender or add up to 1/2 cup more of coconut milk, as needed, to make sure it gets smooth. 3. To Blend: Start by adding 1 cup unsweetened coconut milk (see notes above in ingredient list) into a high-powered blender first. 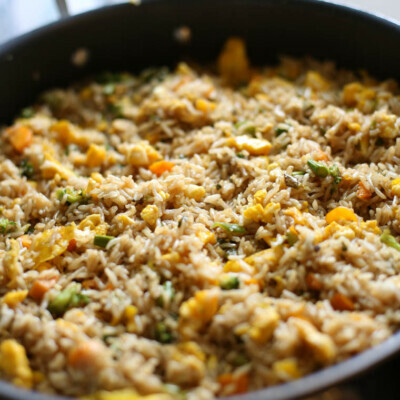 Break up the ingredients in the bag by hitting it on the counter or crunching it with your hands. 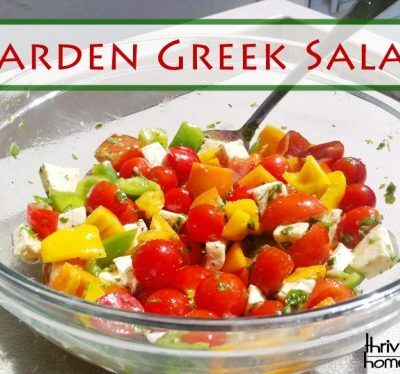 Dump the ingredients from the bag in and follow blending instructions above. 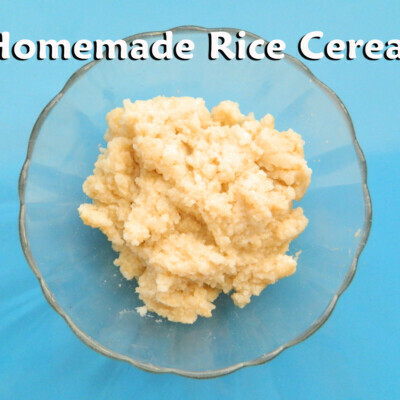 You’ll have some leftover coconut milk if using the canned version. Either store it in the fridge for another smoothie that week or try it as a creamer in your coffee! It’s delicious. 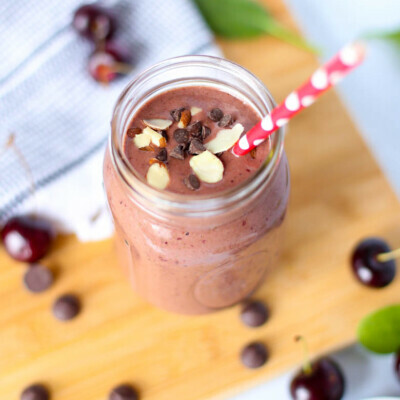 Feel free to add a little rum to this smoothie if making it for a party or fun drink on vacation!